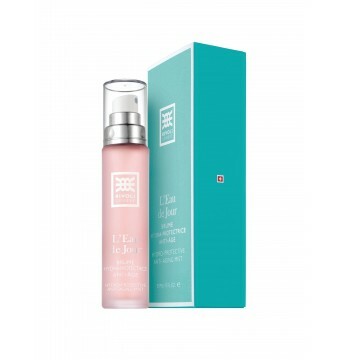 Le Regard Sérum Éclat lifts and instantly illuminates the eye area. A formula brimming with active anti-aging precursors smooths the eye area and firms the skin. With continued application, the visible signs of fatigue are reduced, and the eye area appears rejuvenated. A precursor complex composed of oat amino acids, Vitamin B3 and a source of cellular energy allows the skin to produce its own proteins and reinforce its structure from the inside. Sorghum extract, which is rich in natural polymers, softens and smooths the skin. Soft-focus pigments reflect light. The eye area appears refreshed, more rested. An extract of tamarind seeds improves skin’s hydration over time, for greater softness and suppleness. Apply morning and evening or as required when in need of a beauty flash. Gently tap around the eye contour as well on the upper eyelid, from inside out.